Hei guys , im Hayden here from dropshipmme.com . I have enrolled in quiet a numbers of courses online and offline on how to start a online business . I have joined online business mastery that cost me 3000USD , I have joined how to create a online course that sell , it cost me 2500USD and couple more courses . All courses are good and it really teach me how to do what it claims . However , one day when I google around , I can get all these courses with the price of 9.90USD . I nearly kill myself , after knowing this . I started a new online business by using dropshipping business model , I want to learn everything about it , without paying couple of thousands , when I can get everything below 20$ . So this is why I created dropshipmme.com . this web site is going to show you some of the best courses on helping to start your dropshipping business without burning a hole on your wallet and bank card . Today I am going to do some interesting experiment . 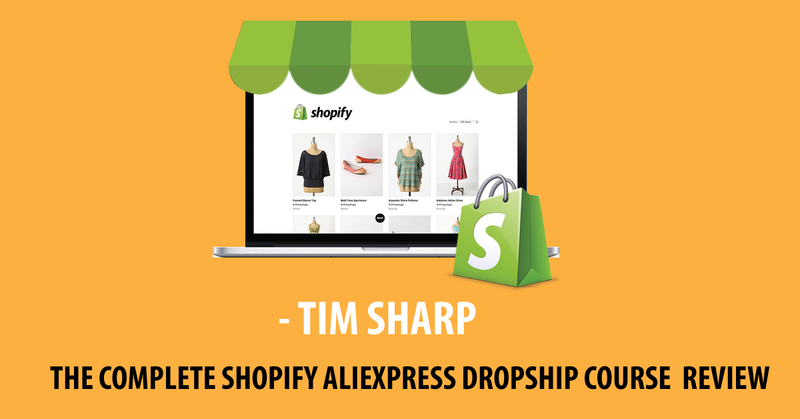 I am to enroll on one of the top course on Udemy , it is called Make Money: The Complete Shopify Aliexpress Dropship course, by tim sharp , it has so far 38,688 students enrolled ,4.6 stars review very high for this amount of students enrolled. It must be good . It claims that at the end of the course , I will be able to create a profitable “ the end of this course you will have a profitable eCommerce store which could supplement your existing income or transform your life by giving you your very own online business that could even allow you to escape the 9 to 5 altogether. That is a good piece of sales pitch . So , what am I going to do is , to set up my own shopify dropshipping store by following exactly what Tim teach in this course . And let see how effective is his method . I will be updating every single progress on dropshipmme.com . So make sure that you check out my web site dropshipmme.com at least once a week . I also included a direct link to my progress on somewhere down here . So make sure you check it out at least once a week . Previous What is the best course on drop shipping via shopify? Hey Hayden, Iove this article thanks for sharing. I just finished setting up my first Shopify store and currently looking to invest in a drop shipping course. I keep reading reviews about eCom Elites but can’t make up my mind because of the price. I understand it has a ton of value which I can kind of justify for the price but then again in this review, http://www.digitclicks.com/ecom-elites-review-the-only-drop-shipping-course-youll-ever-have-to-take/ they are saying it is great. Would love to get your opinion on it and is it something someone needs when first starting out. Thanks again for the tips. I’m on the fence if I should sign up or not. honestly i have no idea , well it is only cost $197 of one time payment .i am pretty sure that you will learn something from this course.